This training unit explains Fastcall Messages. 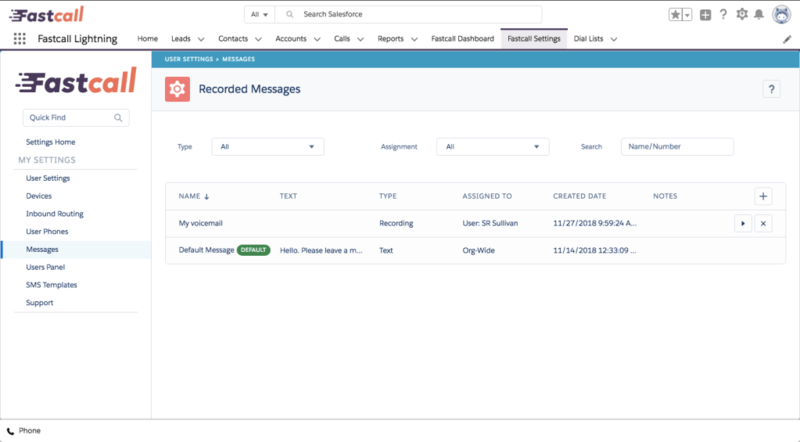 This functionality is used throughout Fastcall, most notably by Voicemail and by Interactive Voice Responses. You can add a message to use yourself by clicking on the plus icon and filling out name, notes, and selecting a type and providing the necessary information to create a message of that type (see ‘Types of message’). Messages can be assigned to a User or a Group. If a message is assigned to a Group, it is available for use by all members of the Group. An administrator can control all messages. Messages need a name, an assignment (either a User or a Group) and a type. You can also add notes about the Message. Audio messages are subject to many factors outside Fastcall’s control, such as file size, file encoding, hosting speed, authentication on the hosting provider, etc. Please contact Fastcall support for help with Audio messages.